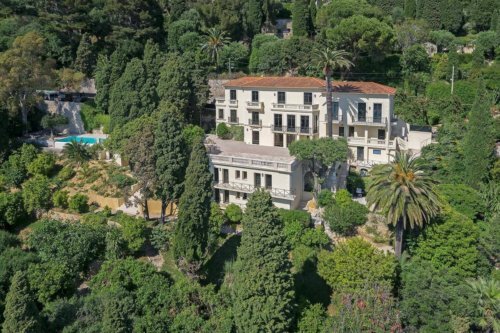 Splendid Belle Epoque property with full privacy and Monaco panorama on Cote d’Azure, located 8-minute drive from the sparkling life of Monte Carlo. Rent luxury villa Monaco panorama and amazing infinite swimming pool! Villa Anabel located above the western side of Roquebrune-Cap Martin. We can accommodate 12 persons: inside the main villa you can enjoy 4 luxury bedrooms with en-suite bathrooms, in the guest house 2 apartments with en-suite bathrooms and kitchen. Extras: a large wine cellar and heated swimming pool with Monaco panorama in addition to exceptional outdoor areas for intimate lounging. Villa Anabel offers you full privacy: nobody disturbs you, it meets the requirements of even celebrities and VIP persons. Rent luxury villa Monaco panorama and swimming pool! You can rent the villa with or without in-house staff. We offer you bespoke services also: eg. party organizing, breakfast, catering, concierge services, limousine, yacht or helicopter transfer. Enjoy the tranquility, luxury, and services of Villa Anabel and our in-house staff! Book your stay in a private villa with 6* services for your family, friends or your business partners! You can see the floorplan of the building here.